The House of Jones: Happy Easter! We had a great Easter. We started celebrating yesterday. 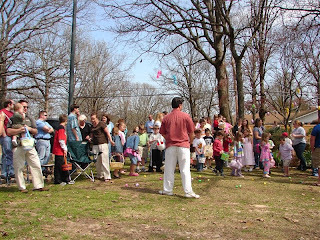 Some friends of ours hosted their annual Easter Egg Hunt. 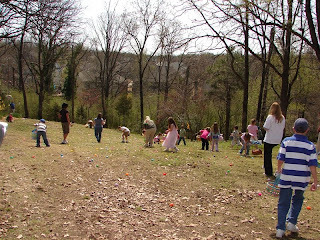 They hid approximately 1,300 eggs for kids of all ages to find. It was really amazing. This was our second year to attend and it was even more fun this year. Rebekah was more into it and of course, Rachel was super excited. 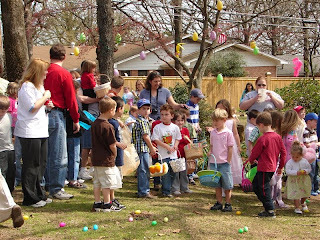 The eggs all contain either candy, toys and some even have money. 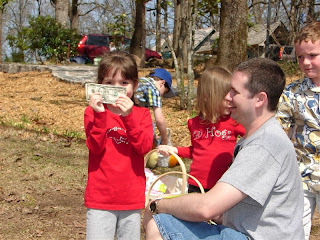 And the coveted Golden Egg has a Five Dollar bill in it. 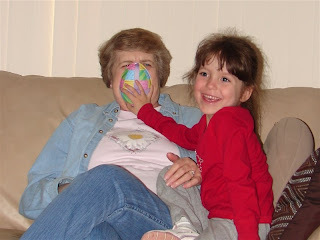 All morning long before the hunt, she kept telling us, "I'm going to find the Golden Egg!" Well, to our surprise, SHE DID!! Here are some photos from the big hunt. After the Egg Hunt, we headed over to my parents house for another egg hunt and dinner. Both the girls got WAY too much candy, some toys and about $16 in money for their piggy banks. This morning we made it to church. Rebekah was not happy about going to her class, so she went to big church with all of us for the first time. She did really well. 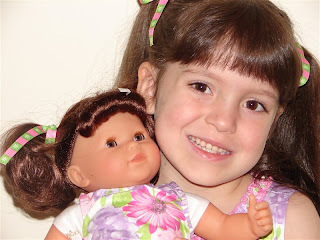 She was quiet, colored and very well behaved. I was so proud of her. 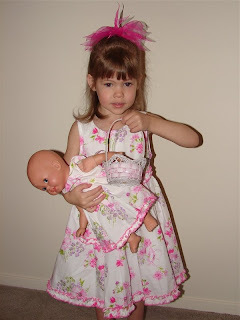 Here are some pictures of the girls in their Easter dresses, along with their baby dolls in matching dresses! 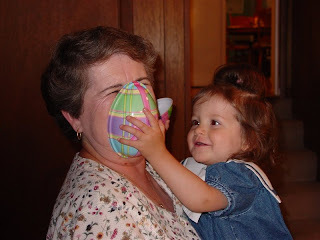 I just posted our Easter pics this morning. 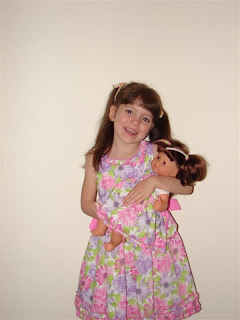 My girls had matching baby doll dresses this year too - AWWW! I cannot get over how much Rachel looks like you. I saw Carrie Nunnley (sp?) at church... didn't talk to her but she looks THE EXACT SAME. I mean, exact.